Original period manufacture. 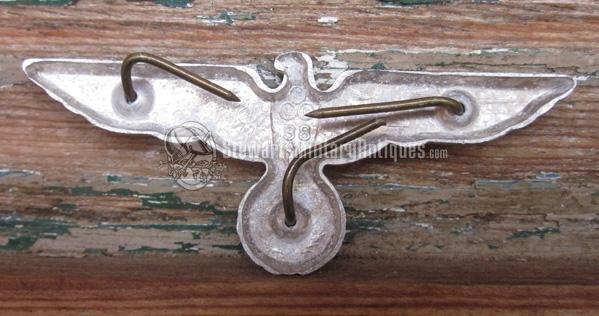 An aluminum eagle with three brass mounting pins, maker marked reverse. Measures 65 mm in width.